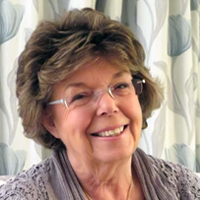 Professor (Emeritus) Pam Denicolo, a chartered psychologist, has just retired from her fulltime role at the University of Reading where she developed the Graduate School system and the post-registration professional practice and research element of the School of Pharmacy. Her passion for supporting and developing graduate students is demonstrated through her contributions as Vice Chair to the UK Council for Graduate Education Executive Committee, as chair of the Society for Research into Higher Education Postgraduate Network and Executive Editor of the Guides for Supervisors Series. She was a key contributor to Vitae’s development of the Researcher Development Framework (RDF) and the QAA’s Doctoral Characteristics Advisory Group, and is currently contributing to the revision of the Code of Practice. She is currently advocate for Graduate Studies at the University of Surrey.